Kidults rejoice: London is turning into a giant playground this summer — from slides around art galleries to urban beaches to the imminent return of the Crystal Maze. And while not everyone is convinced that the infantilisation of culture is a good thing — Simon Pegg recently got himself in a brouhaha by saying it was all part of a global conspiracy (he's been hanging out with Tom Cruise too long) — we're still excited by all the new opportunities to be juvenile. Below is our roundup of ways you can be a big kid in London. 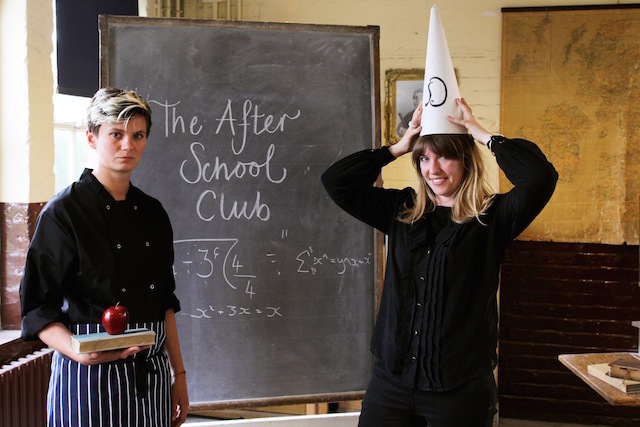 The term “posh school dinners” might seem like a contradiction in terms, but with Moro-trained chef Ellen Parr in the kitchen, the food is likely to be well yummy. If you can behave yourselves you’ll be treated to five courses at the Round Chapel Old School with theatre, music and milk monitors too. There’s a range of school days to choose from throughout July and August. You’re no more care-free than when you’re leaping up and down on a trampoline like a perky Jack Russell. Of course it looks slightly less bizarre if you’re a real child, but who cares? Oxygen is opening a free-jumping park on 20 July with “150 connected trampolines and 11m of air above to explore.” After all the springing about you can nip into the cafe for some fizzy pop to replenish your E numbers. 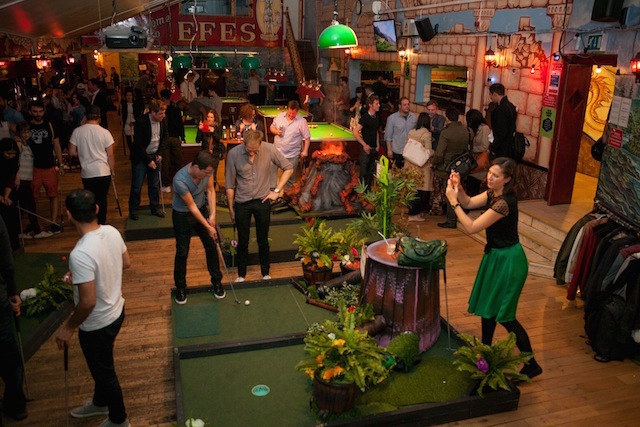 You don’t have to head to Southend or Margate these days to get some quality crazy golf action. Plonk in Dalston are offering lucky delinquents the chance to spend summer evenings negotiating ramps and avoiding “big smoking volcanoes.” Of course you might miss the traditional windy, rainy British seaside experience but this place offers a typically cool Dalston alternative: it's set inside an old 1930s cinema. You can also follow in our intrepid footsteps at the Dinosaur Mini Golf. After the little kids have gone home, it’s time for the big ones to descend on a giant yurt just outside the Oxo Tower for an evening of performance, storytellers, drinks and competitions, all brought to you by the ever-creative Crick Crack Club. Events take place between 24 July-2 August 2015. The Fabularium Fairytale Festival, on the South Bank. Ticket prices vary. Here’s another chance to experience the seaside without straying beyond the safe familiarity of the tube network. 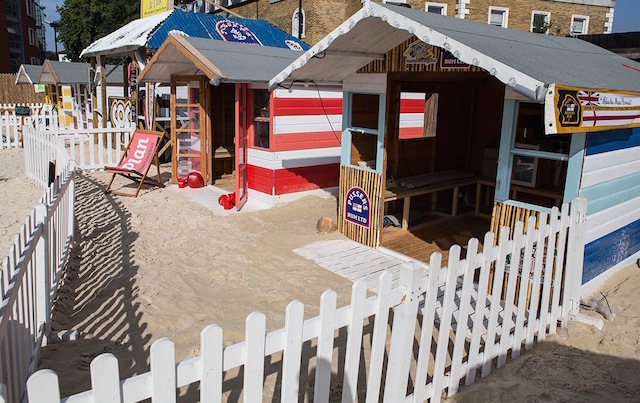 The Roundhouse is offering the full beach experience: sand, fish and chips, deck chairs, rock and rum shacks, including the chance to hire your very own beach hut stocked with Prosecco and beer. Head to the beach between 17 July and 23 August. Splish splash: waterslides are coming back to the capital in a big way. 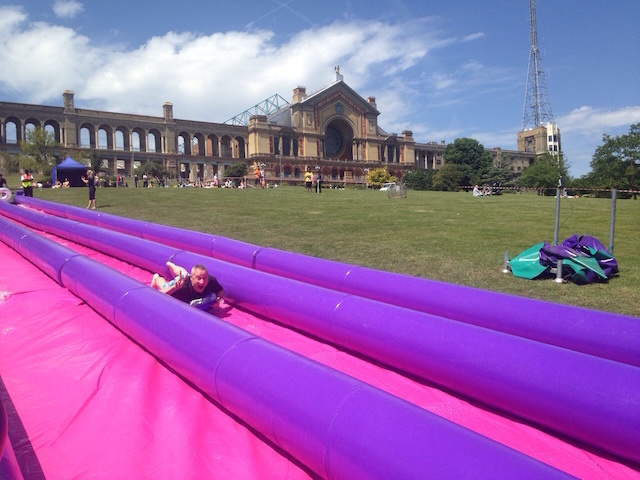 On 25 July, Alexandra Palace will host what promises to be a fun-packed day with street food, a silent disco, an open air screening of Dirty Dancing — and a giant water slide for all you giant children to enjoy. Alexandra Palace Summer Festival, Alexandra Palace. One great way to bond with friends (or fall out for life) is to go head-to-head over a board game. 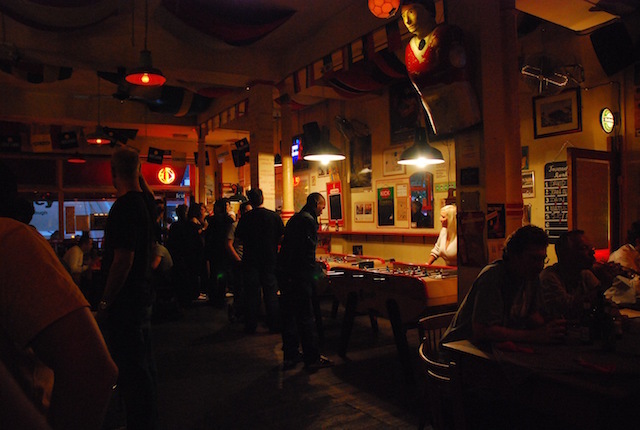 Draughts in Haggerston offer a huge library of 500 games (including Cards Against Humanity you cheeky monkeys) for players to enjoy over beer, wine and food until late into the evening. And if you really want to get carried away, they also run themed nights and tournaments. Still bitter you missed your chance to be on shows like Knightmare and Fun House back in the day? Don't beat yourself up: you and your besties can still flex your mental muscles as you try to strategise your way out of a locked room. Logic and teamwork but no tantrums please. ClueQuest, Caledonian Road. £19.80 (mullets not included). Get wrist-flicking on the foosball table with friends at London’s Bar Kick in Shoreditch. And what’s more you can watch real, live, human-sized football on screen while enjoying food and cocktails fit for Ronaldo. And during happy hour beers cost a nostalgic £2.